This living room sofa has a large scale that makes it perfect for sprawling out. It features thick track arms and casual wood feet. The seat cushions and back cushions are reversible which help to prolong the life of the piece. Coordinating accent pillows add an introduction of cool color tones to the piece. 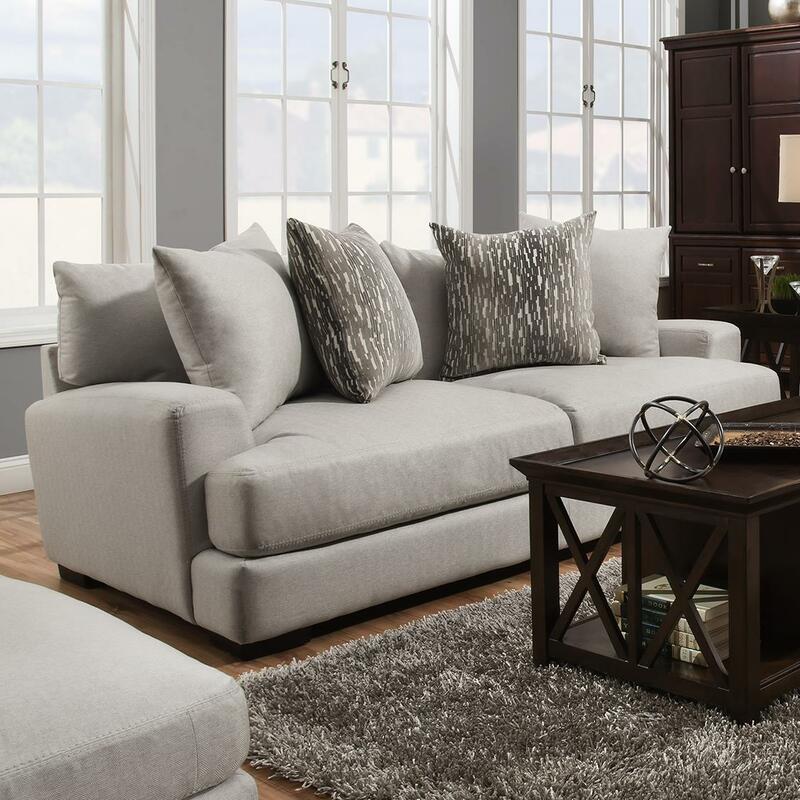 The Oslo Sofa with Two Seat Cushion Construction by Franklin at Miskelly Furniture in the Jackson, Pearl, Madison, Ridgeland, Flowood Mississippi area. Product availability may vary. Contact us for the most current availability on this product. Seat Back Reversible Back Cushions. Seat Reversible Seat Cushions. Two cushion construction for a unique look. Ideal for families who (usually) only seat two people on the sofa at a time. This design allows for more unbroken comfort when only one or two people are seated on the sofa.